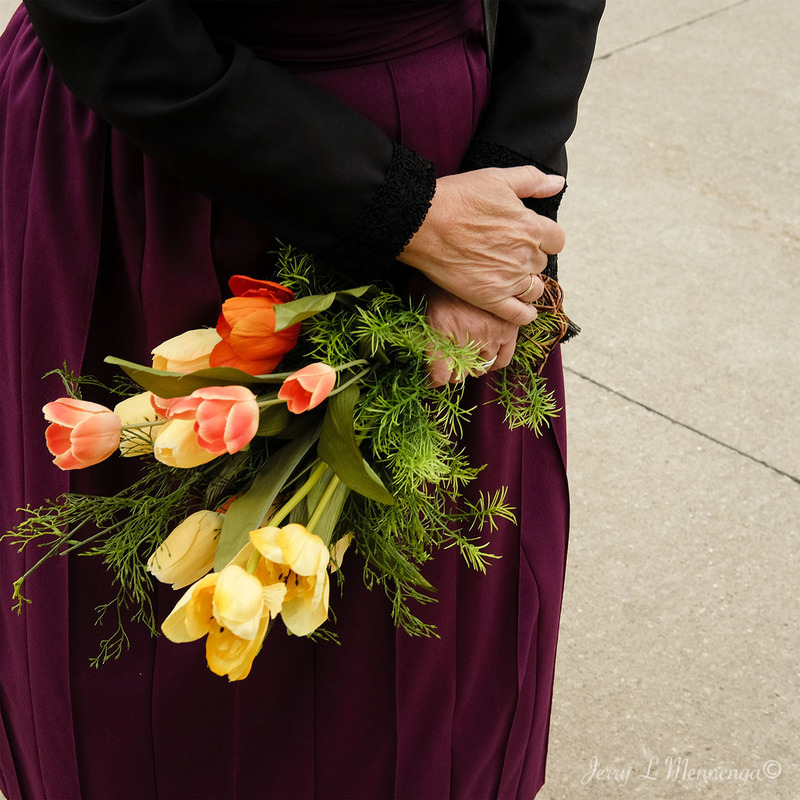 I always my visits to the Tulip Festival in Siouxland located in Orange City each year. 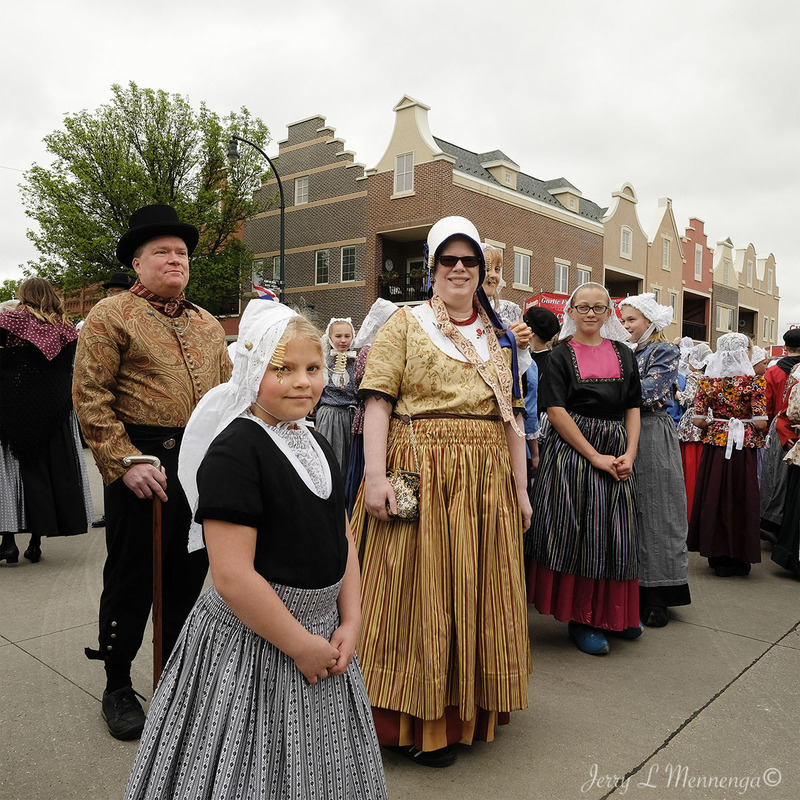 It’s a nice family event that also has families involved from the community as they work together to welcome visitors and share their love of their Dutch ancestry. Before the street cleaning which takes place and a parade of regional dress specific to the Netherlands, a group of singers, The Fiesten Zangers or bicycle singers ride up and down the main downtown street stopping to share a few songs in Dutch and welcoming those attending the festival. It’s a nice way to spend the day, especially if the weather is nice enjoying a community celebration and food and the spirit of a small town. 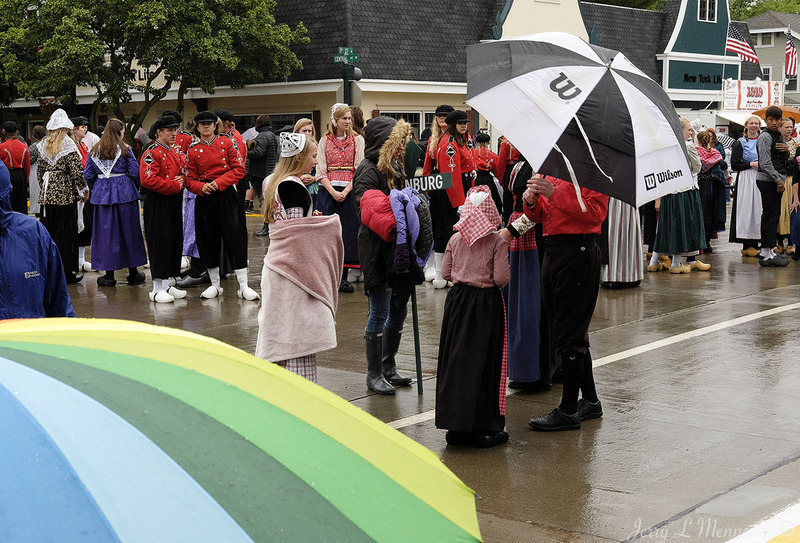 Of the number of years I have now lived in the Siouxland area I can not recall a more rainy day for the Tulip Festival in Orange City. Although I am certain others will easily recall that. One gentleman I talked with this year while attending the festival told me he remembers as a child playing an instrument in the marching band wearing his wooden shoes and trudging through a late snow. Mother Nature can be a bit capricious sometimes. This time it drizzled and rained almost all of the time. Not heavy, but steady. And with expected storms to roll into the area in the late afternoon and evening, the normally two parade times were combined into one. I stayed around for most of it, but not all. Having never been to the parade in rainy weather I was a bit gamed to see what images I could come away with. The majority of them contained umbrellas. 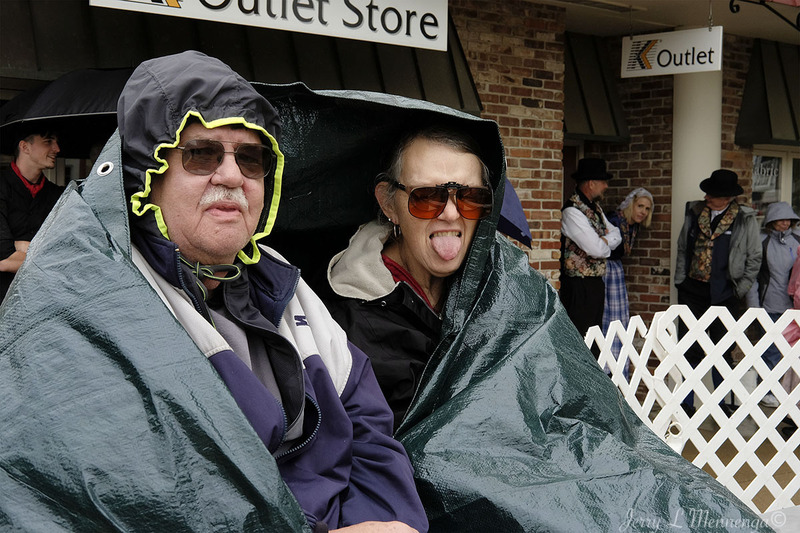 The darker than normal overcast skies helped create a mood but visitors seemed undaunted by the weather. The use of so many umbrellas gave me some natural framing devices, as well as the “shade” of the trees focusing a viewer’s eyes on what I want them to see in my images. Lastly, I enjoyed being able to some extent single out some of the young dancers of which the girls seemed thrilled to perform and the boys reluctant participants. But the food I had tasted the same, and with so many umbrellas people offered a space while I shot in different locations.A sunny day would not have given me the same results and I didn’t mind a little drizzle and certainly didn’t mind the cooler weather. 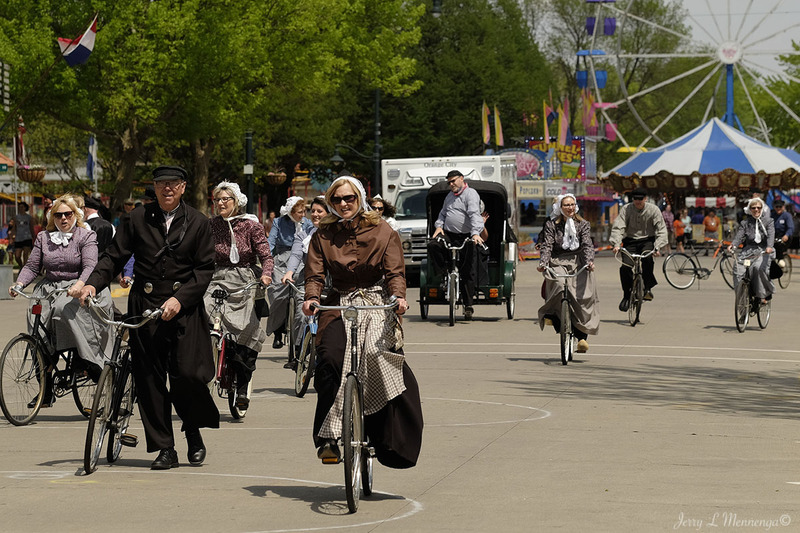 As many times as I return to the Tulip Festival in Orange City I am always seeing new and more faces. 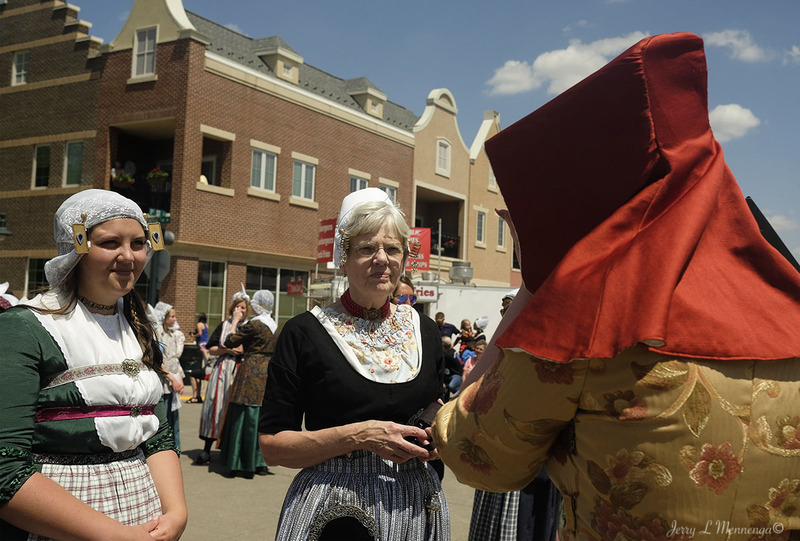 The entire community is involved in a effort to keep the town’s Dutch Heritage alive and join in the celebration whether dancing traditional folk pieces, performing in various productions or parading through the streets. One always gets a Midwest welcome from smiling faces and people who genuinely seem to enjoy their 3-day holiday. And most of the time entire families are involved in the celebration. I have met and chatted with people that are now adults who remember their childhood participating in children’s activities associated with the parade. And the adults’s parents recall their participation. And now it’s the adult’s children who participate while the adults have moved on to adult enterprises associated with the festival. 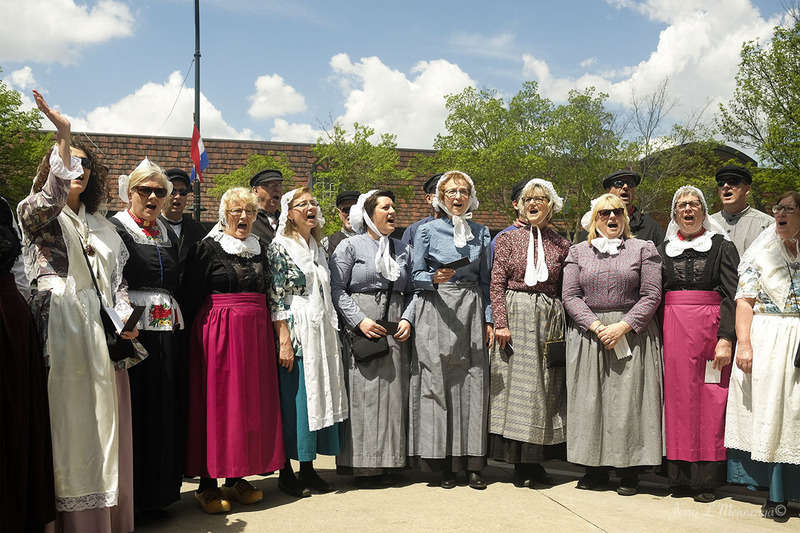 The costumes worn by the residents representing various cultures within the Dutch heritage whether fisherman, cheese makers, farmers, it gives the visitor a glimpse into the past and a little bit of knowledge of where the ancestors of these people hail from. Plus, the food is not bad. And sweets. Did I mention coffee? It’s just a nice day to enjoy a celebration. 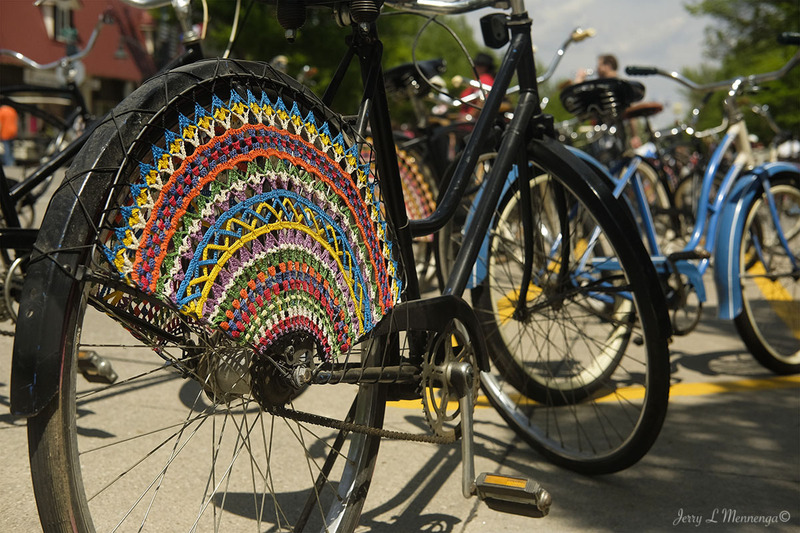 This weekend is the annual Tulip Festival in Siouxland in Orange City. 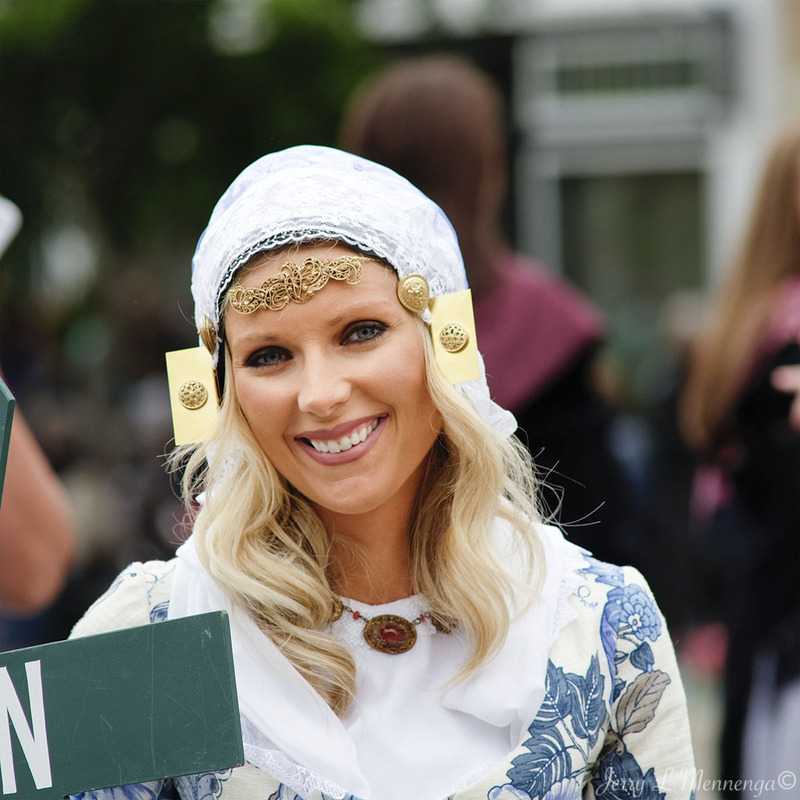 The small community celebrates its Dutch heritage with locals dressing in costume and performing traditional dancing, street cleaning and a parade of all things Dutch. It’s a three-day celebration. And it’s always fun, even if the weather doesn’t always cooperate. This year it is wet and cool, well maybe cold. Temperatures for some days are expected to be in the low 50’s. Chilly if you can’t wear a coat over your costume. However, for a photographer it gives one the chance to shoot a little differently. I have been photographing the event for a few years now. And so with a little change in weather it gives me an opportunity to photograph the event a little differently.The overcast sky makes it easier to shoot without harsh shadows and colors seem to pop a bit more, although the tulips seem to be suffering a little with such a cold, wet spring. 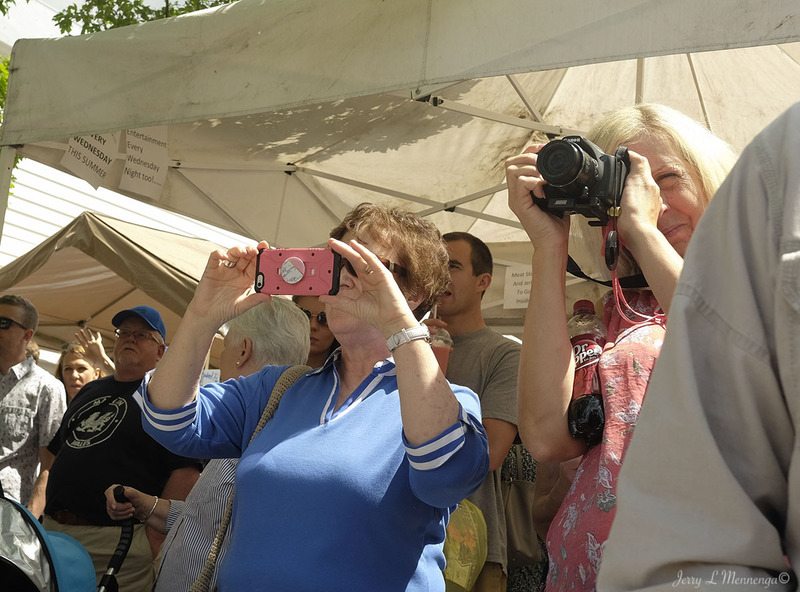 There are so many different facets of the festival that sometimes the choices can kind of keep a person from shooting at all, or not paying enough attention as you flit from scene to scene trying to capture it all. And this year I spent some time chatting and having coffee inside with a former colleague out of the cool weather which means I need to go back one more day since I missed the parade. But what a nice way to spend a day. Seeing people enjoy themselves despite the inclement weather, and if it’s too cold or wet, there’s always another cup of coffee inside. I always find it interesting when revisiting places how they stay the same but also are different during different seasons. Some would say this is a no-brainer, yet it is like watching a friend go through mood changes. And depending on what is happening climate-wise during these changes at places, one never know what to expect. 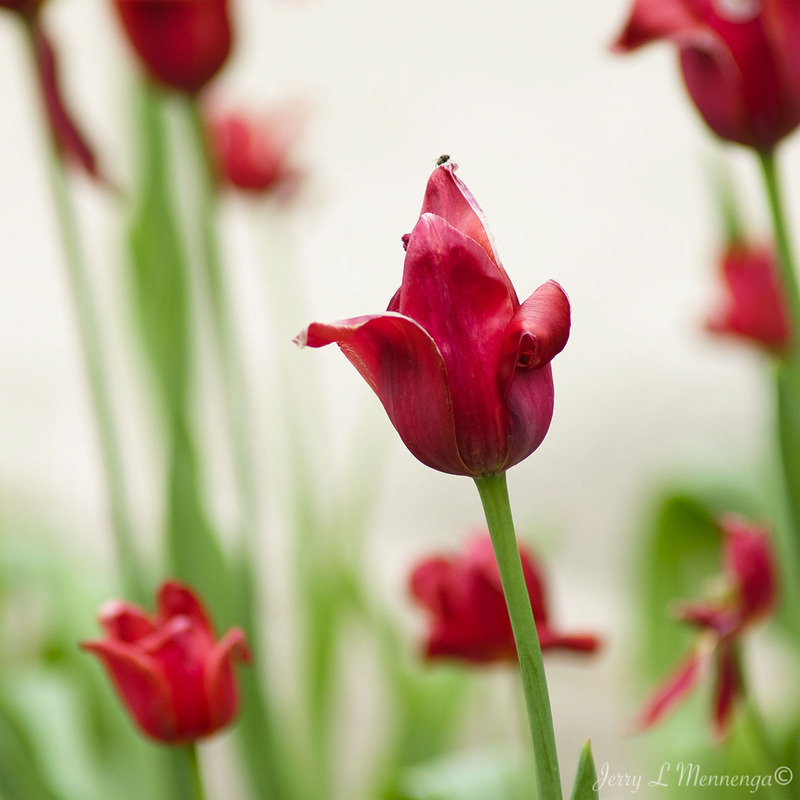 Recently visiting Orange City for an event brought home the fact since I don’t always visit the community much during the winter months and it looks very different without its color provided by the tulips on display during its Tulip Festival. The other day brought the first snowfall to the Siouxland area along with wind gusts up to 50mph and low visibility. The dip into the low temperatures of the 20’s is something like most people I am not looking forward too. But it’s going to happen. So I am remembering a recent day out in Orange City and a walk around the downtown area and a milder temperature. Ahhhhhh, I will savor it while I can. 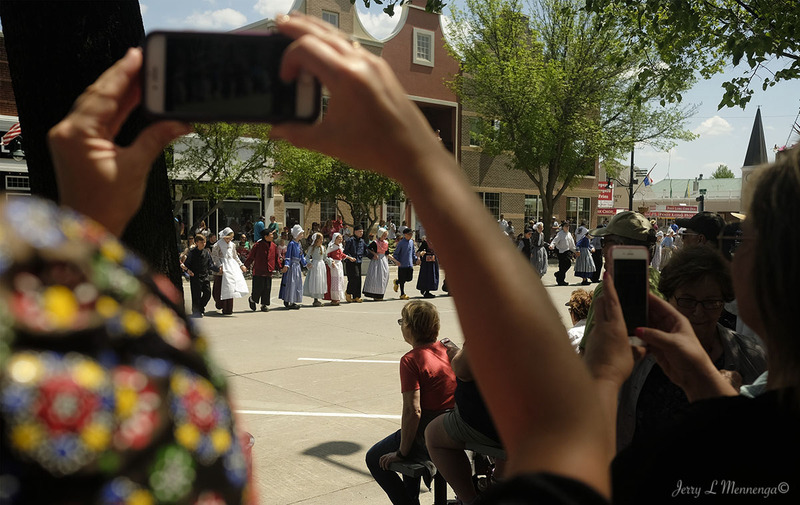 Even though it is now summer, Orange City, Iowa held its annual Tulip Festival in May and as always, a parade, food, costumes, and many people attending over the three-day event. This year I went the second day of the festival which had a fewer people on a Friday which was nice, and also because I had a class I was teaching Saturday. It was a little different in that the sidewalks were not quite as jammed with visitors. But the pomp and circumstance and hoopla surrounding the community’s celebration was still palpable.